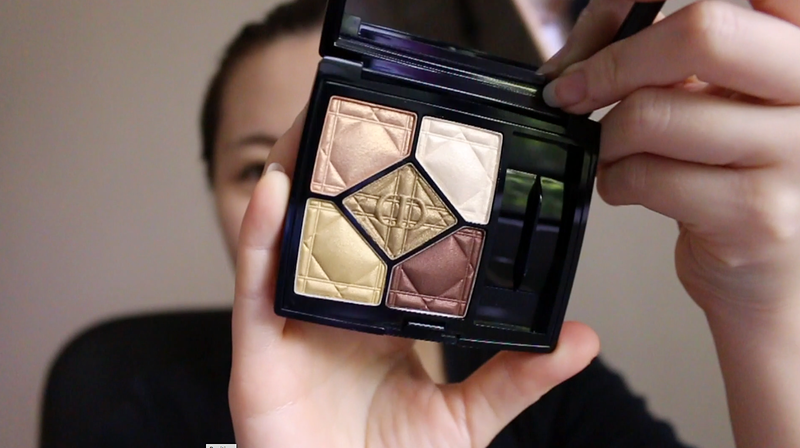 I'm back with another makeup with Dior video :D So glad I finally collected my items from my parents' place and am able to play with these goodies in front of the camera. I've decided to do a No Foundation video because sometimes, I try to wear as little skin makeup as possible as I would like to let me natural skin shine through as well as letting it breathe after a good facial session. 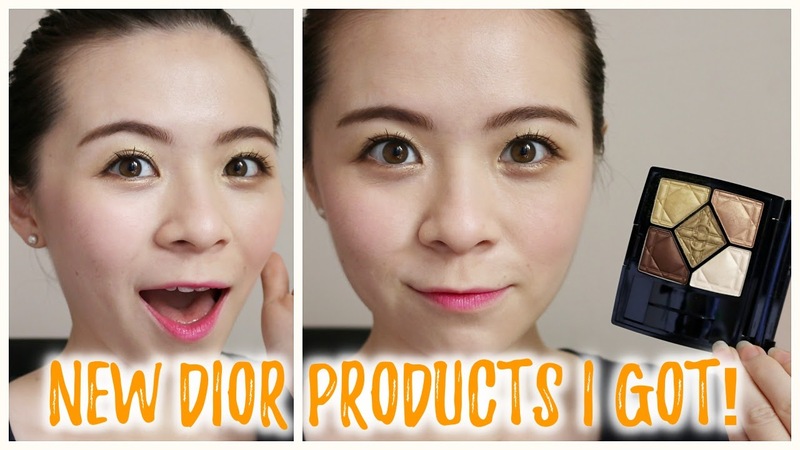 For this video, I used some Dior products that I already have while most of them are new. Check them out below, otherwise, scroll down for the review of some of Dior's new products that I received! 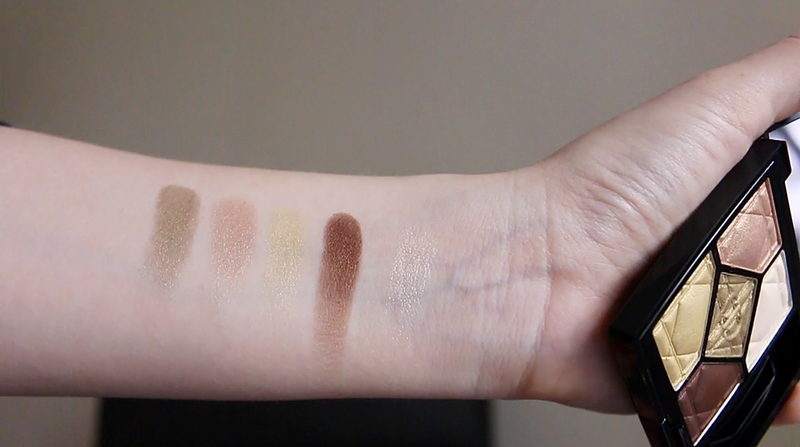 Dior sent me a few other shades too but for this video, I decided to use this palette as I wanted something neutral as Autumn-y as well. This is perfect! Overall, I really do like all the shades here as they are all pretty pigmented except for the white on the top right corner there. It only shows off as a subtle shimmer shade that's probably good for highlighting the face too. I've created the eye look as above. As mentioned in the video, I'm more into the Korean style eye look because it's what I feel works best for my eye shape. Also, I mostly used the brushes and sponges available in the palette. They are not bad at all. I love that it's dual ended with a sponge tip on one side so I can easily use it to smoke out the liner if I want to but I don't like that I have to sharpen my pencil :( However, this pencil is pretty amazing. 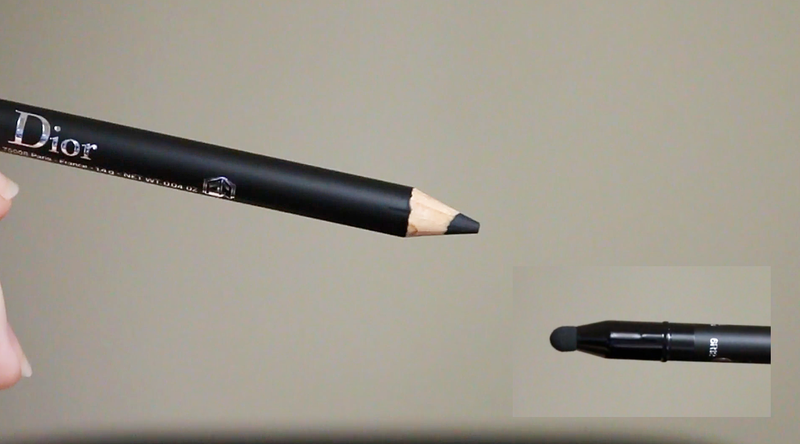 It's super dark, easy for tightlining the eyes and filling in between the lashes. Plus, ones it sets, it doesn't smudge, it doesn't transfer. It stayed put pretty well. 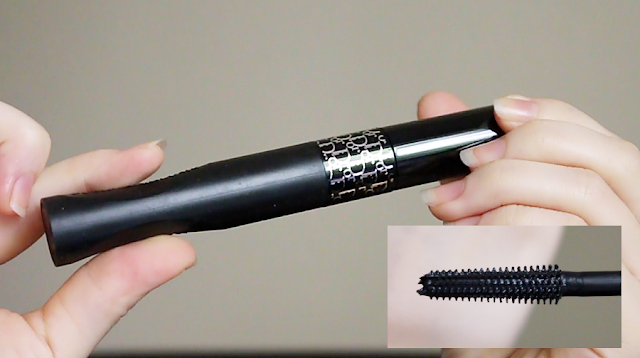 My current favourite mascara! 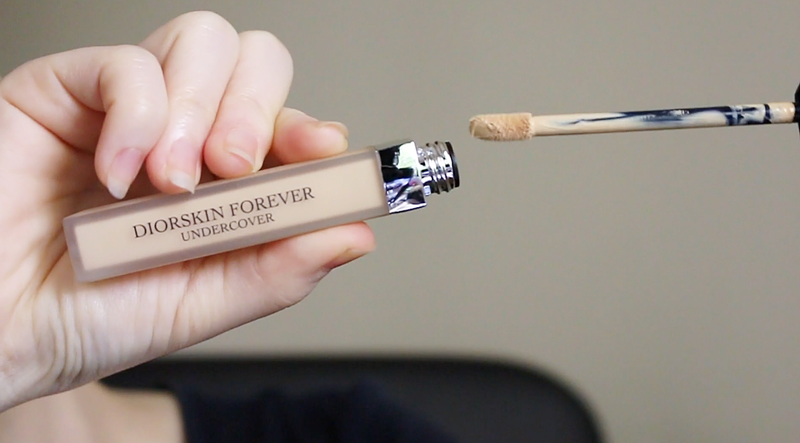 I love the concept of pumping tube at the end to make sure the brush is properly coated. I like the brush type as it's a short, spares, plastic bristles kind. It huge, which makes it great for upper lashes but not easy for the lower lashes. It does give amazing volume, people with short lashes will love this but longer ones like mine, the formula does weight my lashes down a bit. However, once you've managed to curl it properly before it dries, it stays up for a long time. Doesn't smudge, doesn't transfer, it's long wearing. It's a great mascara to have. I seriously thought this would be a too dry for my undereyes because it's known to have a fresh matte finish after blending it out. 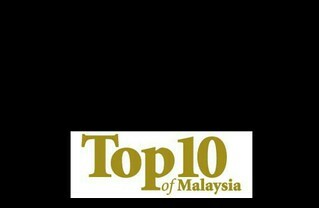 Yes, it is a little drying but once I properly prep my skin with good moisturising base, it works pretty well for me. It covers up really well and stay on well too. I will only recommend this to people with oily skin type or dry skin people who are not lazy to moisturise/prep their skin. Vavavoom! Super bright pink lippie, how is this Autumn? Well, I only used this lightly at the inner part of the lip and spread them out with my fingers to give a gradient look. After attending the launch earlier this year, I realise that this is not your regular lipstick, it's a lip lacquer in a stick form! I love lip lacquer because usually they are more pigmented, more vibrant, and last longer on the lips. 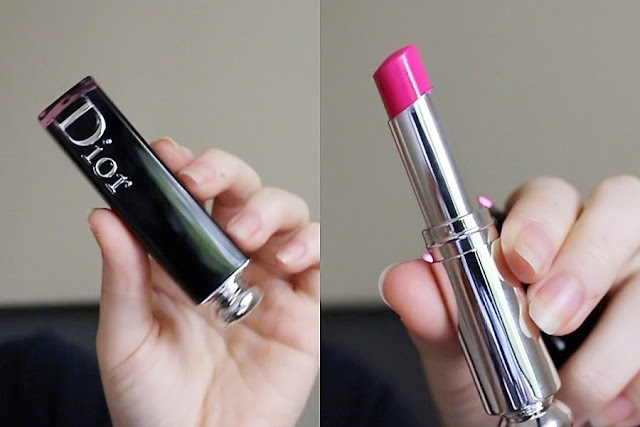 Making them into a stick form is just genius because this way, it will make it much more moisturising on the lips as compared to a regular lip lacquer yet still able to give out that vibrant and lasting effect. Definitely one formula that suitable for everyday wear, just pick a lighter shade from their range/collection. Thank you so much DIOR for the goodies!